Wikimedia CommonsHitler at the Day of Potsdam ceremony for the opening of the new Reichstag after the German federal election in March 1933. New economic research shows that bad tax policy was instrumental in bringing about the rise of the Nazi Party in 1933. Austerity measures implemented by an incompetent Weimar government had the unintended consequence of radicalizing German voters. The US is not Weimar Germany, but Republican policies – starting with the Tax Cut and Jobs Act and continuing with cuts to social programs that may follow – in an already polarised environment could still have unintended consequences. Doing away with tax deductions that are relied upon by poorer, sicker, or younger Americans to fund tax cuts for the rich is akin to an austerity measure and would push struggling Americans further into political extremes. The intended consequences of the Republican tax plan are bad enough. Unanimously, economists across ideological spectrums have said the GOP’s Tax Cuts and Jobs Act would increase the deficit, hurt lower- and middle-income Americans, exacerbate inequality, and fail to provide the economic growth the Trump administration keeps touting without evidence. The unintended consequences could be much worse. In a new paper published by the National Bureau of Economic Research, the economists Gregori Galofré-Vilà, Christopher M. Meissner, Martin McKee, and David Stuckler show the dramatic impact poor tax policy had on Weimar Germany from 1930 to 1932. That policy – even more so than other economic factors like unemployment – radicalized the population and made Germans feel the government was out of touch with their struggles. In short, it created the perfect environment for the Nazi Party. Let me be clear about something: The US is not Weimar Germany. Our situation obviously isn’t as desperate. But an already polarised country can learn some things from Germany’s example, including just how quickly bad policies pushed German voters to extremes. The policies this paper examines were implemented for two years and then cast aside when a new chancellor was appointed in 1933. Support for the Nazi Party fell almost immediately. But by then it was too late. Even after losing seats in Germany’s legislature, the Reichstag, from July to November of 1933, the Nazis had gained control of 44% of seats – enough to form a coalition. Enough to come close to destroying the world. 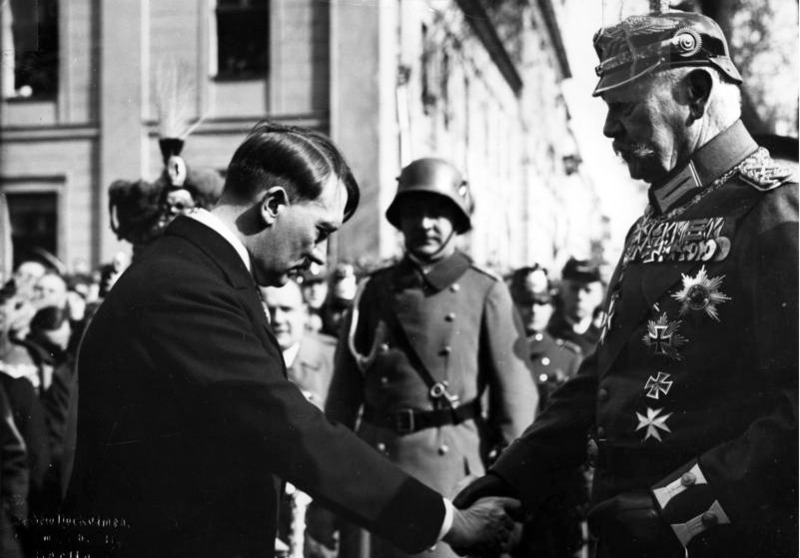 Desperate after Germany’s economy collapsed in 1928, the country’s president, Paul von Hindenburg, appointed a bunch of technocrats to run the government in 1930. At the helm was Chancellor Heinrich Brüning. He was an austerity guy who liked to issue “notverordunungen” – emergency decrees. He quickly implemented a mix of tax increases and spending cuts in an effort to get the country back to good. “These measures involved drastic cuts to government expenditure, increased rates of taxation, new taxes, and cuts to unemployment benefits, payments to pensioners, and welfare recipients. In addition, the central government acted to centralize important fiscal decisions that were traditionally decentralized in the Weimar Republic. The political ramifications of these measures were almost immediate, according to researchers, and they went beyond the Nazi Party. This austere fiscal policy combined with a depression-induced public-sector slowdown only worsened the economic situation for Germans, and it radicalized people across the social spectrum. As they lost faith in their government’s ability to manage the situation, unemployed and low-income Germans became more likely to turn to the Communist Party. Middle- and upper-income Germans were more likely to turn to the Nazis. Wikimedia CommonsGerman Chancellor Heinrich Brüning. 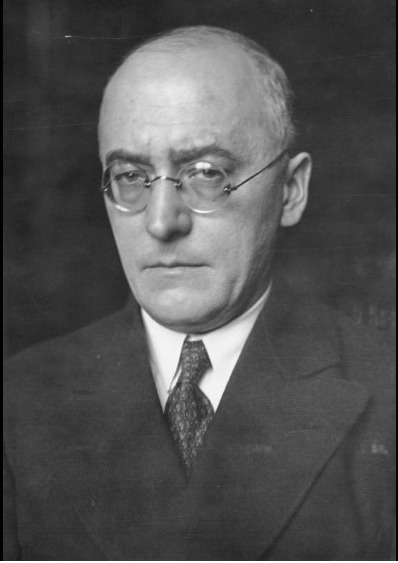 Over the period when Brüning, who was dubbed “The Hunger Chancellor,” was slashing and burning, the Nazis gained ground in Germany’s legislature. In 1933 a new chancellor implemented fiscal stimulus, and again the political ramifications were almost immediate. The Nazis lost dozens of seats in the Reichstag from July to November of that year. Still, it was too late. Hindenburg named Hitler chancellor in January 1933. By March the Nazi Party controlled 44.6% of the Reichstag and managed to pass the infamous Enabling Act, which allowed the German cabinet to pass laws without the legislature or the president. “The coalition that allowed a majority to form government in March 1933 might not have been able to form had fiscal policy been more expansionary,” the researchers wrote. And so began one of the darkest periods in the history of the world. We are not Weimar Germany. We do not have painful war reparations from the Treaty of Versailles to deal with. We do not have a global financial crisis on our hands. We do not have austerity measures being implemented across the board in the midst of the economic downturn. 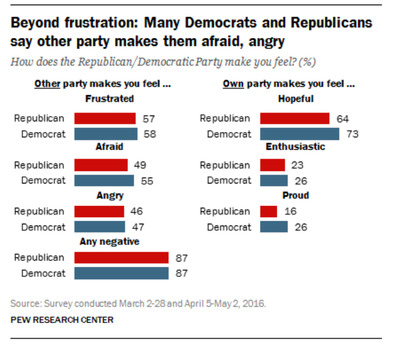 What we do have, though, is intense political polarization. We also have a populace increasingly tired of its leadership. Plus, we have a government taking steps that are isolationist, economically disruptive with no beneficial outcome, and going to add to the struggles of lower-income Americans who are already moving further away from the mainstream. “The Depression-era was associated as much with a major decline in world trade as financial and monetary disturbances; it was a time of tariff increases, quotas, competitive devaluations, exchange controls, and the promotion of bilateral at the expense of multilateral trade (Crafts and Fearon 2013),” the researchers wrote. The Trump administration has returned to that when it comes to trade policy, adding another layer of economic risk to an already fragile political situation. NAFTA, for example, is now in jeopardy, as the Mexican ambassador mused there was a 50-50 chance the deal would be terminated. The US is angering friends and enemies alike, pushing for nonsensical bilateral trade deals. That antagonism extends to President Donald Trump’s tax plan, which both European and Chinese officials have said could be detrimental to global trade. Chinese officials are calling it a “grey rhino” – an obvious problem that no one is doing anything to stop. Again, the Weimar government engaged in this same behaviour. “As a result, Germany’s GDP fell by one third from peak to trough and exports declined by 50% (Crafts and Fearon 2010; Grossman and Meissner 2010),” the paper said. Above all that, what we have is a tax policy that would hit some Americans harder than others. While the rich and corporations would enjoy a nice long tax cut under the GOP plan, the legislation doesn’t indefinitely protect cuts for other Americans. By 2019, Americans making $US30,000 and under would see their taxes go up. By 2021, everyone making $US75,000 or less would see a tax increase. The median US household income was $US59,039 in 2016 – so that’s most people. 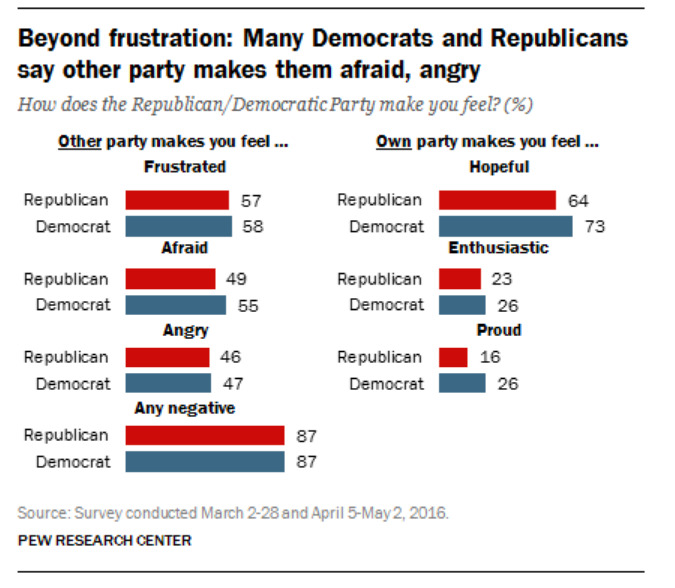 And then there are the increases here and there that Republicans hate talking about. The House plan does away with the medical-expense deduction, essentially raising taxes on those with high medical bills – especially the elderly. Young people with student loans and grad students get hit in the Senate bill. Those in high-tax states like California and New York will be hit if their ability to deduct state and local taxes is eliminated. Over at The Wall Street Journal, Richard Rubin figured out that some high-income businesses faced a 100% tax increase. Healthcare, which is the only sector that has experienced price inflation since the financial crisis, would become even more of a burden on Americans. Analysts estimate that the Senate bill would leave 13 million people uninsured, increase Obamacare premiums on unsubsidized families by $US2,000, and force automatic cuts to Medicare. At the same time, members of the GOP are already talking about cutting welfare and other social programs next, and there are signs that they will be doing so at a bad time. Americans are starting to have difficulty paying off their credit cards. Though unemployment is low, wage growth is still stagnant. Inflation is also anemic, still hovering below the Federal Reserve’s 2% target even though it is tightening economic conditions by ending the financial crisis’ easy-money policies. This is austerity in a country that has plenty. It’s a heinous act of cruelty fuelled by ideology, the desire for power, and the very toxic partisanship that it is likely to exacerbate. To wit, as in Germany, this incompetently written tax policy would produce the unintended consequence of radicalizing Americans further. “Germany today is in the grips of the most powerful deflation that any nation has experienced … many people in Germany have nothing to look forward to – nothing except a ‘change,’ something wholly vague and wholly undefined, but a change,” the German chancellor Brüning once said. Those who suffer in this twisted new form of American austerity will feel the same desire. It’s what pushed many young people into the arms of Bernie Sanders. It’s the same phenomenon that pushed some to give Trump a chance, despite his incessant lying, racism, and tendency toward authoritarianism. It has given us the Republican Senate candidate Roy Moore in Alabama. If this tax plan passes, expect our faith in government to erode further. 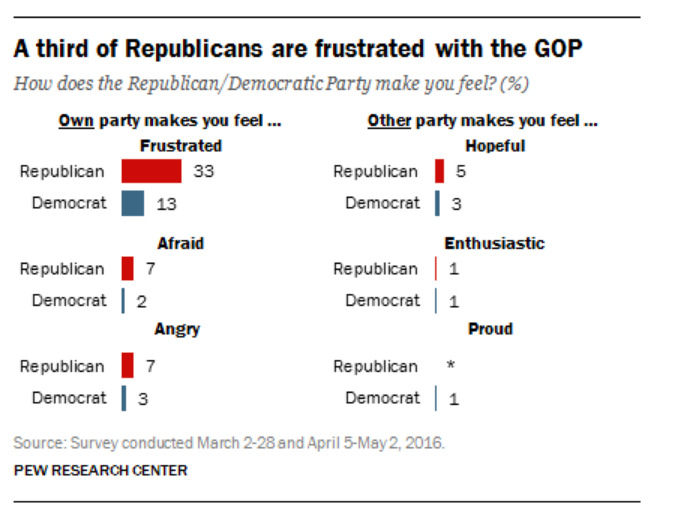 Expect our partisan divisions to worsen. Expect this to take our country to destinations unknown.